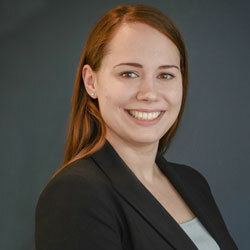 Kelsey Finch, CIPP/US, is a Senior Policy Counsel at the Future of Privacy Forum. Her projects at FPF include consumer wellness and wearables, big data, de-identification standards and privacy by design. Before coming to FPF, Kelsey was an inaugural Westin Fellow at the IAPP, where she produced practical research on a range of privacy topics and edited the FTC Privacy Casebook. She is a graduate of Smith College and the Benjamin N. Cardozo School of Law, with a concentration in Intellectual Property & Information Law. Learn more about Kelsey’s work by reading Smart Communities: Q&A with Kelsey Finch.